With their B-1 on fire and one crew member strapped into an armed but malfunctioning ejection seat, the aircraft commander made a decision: If all could not eject, none would. It was May 1 in Texas. 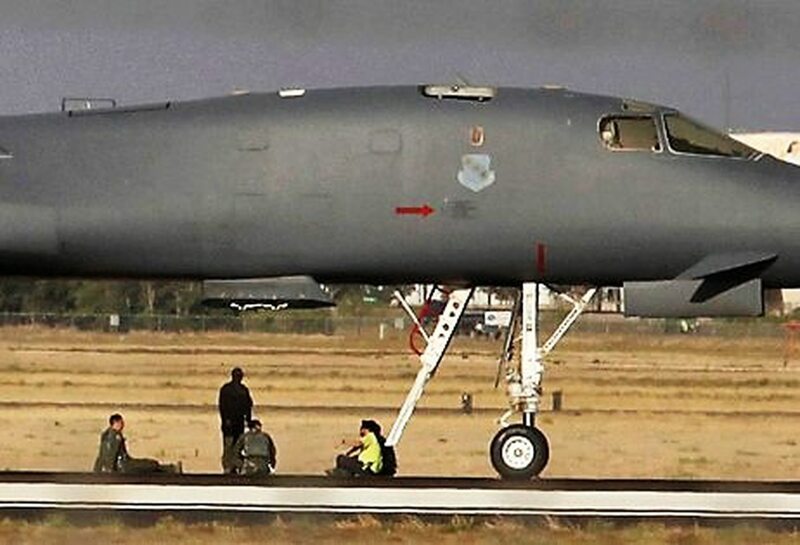 The Dyess Air Force Base B-1 had just finished a training run when warning lights indicated they had a fire in the wing. A terrifying 25 minutes followed until the crew safely landed at Midland International Air and Space Port. The Air Force had previously stayed quiet about the incident, citing the ongoing investigation. Some details emerged earlier this month after photos taken at the scene revealed the bomber had a blown hatch. The incident led to a temporary grounding of the whole B-1 fleet as all ejection seats were inspected. That grounding was lifted Tuesday. On Monday, at an event in Washington, Air Force Secretary Heather Wilson shared the crew’s story, and the hard and brave decisions made in seconds. The June incident occurred days before the Air Force ordered all Lancers grounded. “They were out training. B-1 with [an] instructor pilot and a brand-new crew. So these are young people, maybe less than a year out of pilot training, less than two years out of college. This is a young crew. And they are out training, and the indicator lights goes off. They have a fire in the wing. This is not a good thing. “They go through their checklists on everything you are supposed to do if you’ve got indication of a fire. A wing is where the fuel is. A fire in the wing is not a good day. “They go through their checklists. They do everything they are supposed to do and they still have an indication that they have a fire. “The next thing on the checklist is to eject from the airplane. “You don’t eject from the B-1 all at once. You go out ― one crew member goes out before the other so there’s a sequence you go so you don’t hit a buddy on the way out. “And so they started the ejection sequence. As you can imagine this is a pretty tense time. To eject from an aircraft anyway is a very high-risk thing. “So the first crew member pulls the handles to eject. The cover comes off above the ejection seat. And nothing else happens. The seat doesn’t fire. “And that did two things. First the airman who’s sitting on an eject seat where he’s pulled the fire pins ― and sits there for the next 25 minutes. Wondering whether ― it’s like pulling out the pin on a grenade and holding it as you come in to land. And not knowing whether the next piece of turbulence is going to cause you to launch. Mattis said effects of spending decisions made in last few years won't find a quick fix in FY18-19 budgets. Defense News senior air warfare reporter Valerie Insinna contributed to this report.